There is no better time of the year for simmering up some magic – and some great scents – on the stove. This holiday simmer pot not only smells heavenly, but is chock full of all kinds of good stuff that you want to draw in at this time of year (or any time of year, really). As always, keep safety in mind and don’t let your simmer pot go unattended or let the water get too low. You can get creative with what you use in your simmer pot, depending on what you’re trying to manifest. Orange – Used for drawing and attracting, it’s also a symbol of abundance. I cut up a whole orange for this pot. Cranberries – The quintessential American holiday fruit, cranberry doesn’t have a huge history of magical properties, but as a water fruit, it’s considered to have some of the same feminine properties of assisting with communication and emotions. It’s also considered protective. I tossed in a handful of fresh cranberries. Cloves – Since I made this pot right after a thorough space clearing, I tossed in some cloves for not only banishing negativity but attracting what I want to bring in. It’s got a bit of protection, too, so that’s always good. Rosemary – I added a sprig of fresh rosemary from my garden for remembrance, as a reminder of those who aren’t with me at the holidays anymore. Cinnamon – Since I’m looking for a bit of luck and prosperity, I tossed in a stick of cinnamon. Cinnamon is also activating, helping all the other fruits and herbs to do their jobs. 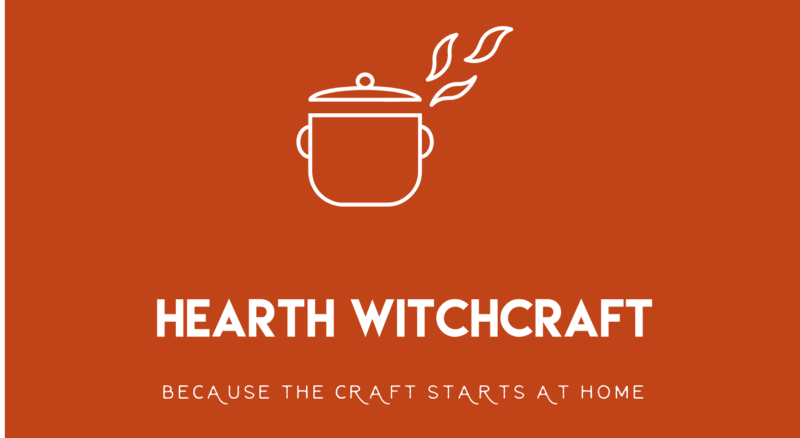 Vanilla – I always add a glug of my homemade vanilla extract to a simmer pot, because I like having something that I made myself as a part of the spell. Plus, it smells yummy. Sea Salt – This is another usual ingredient in my magical simmer pots, adding a grounding element. The aromatherapy alone! I love this idea, thanks for sharing!